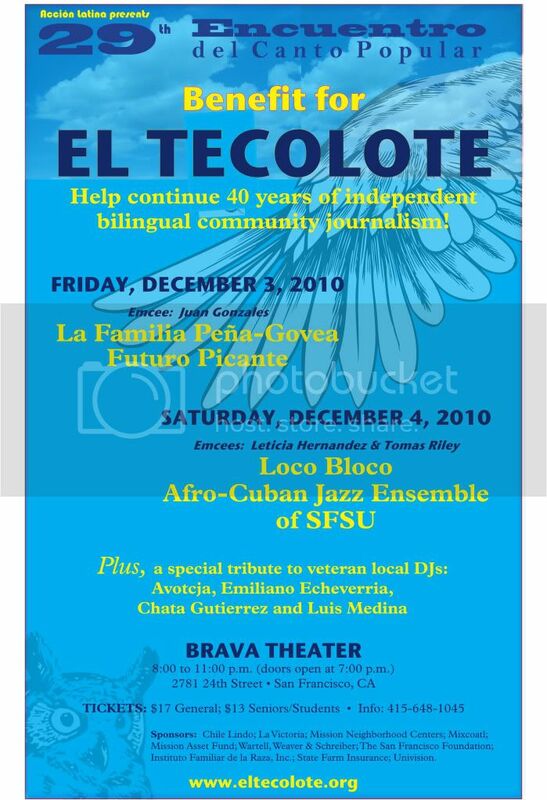 On Friday, December 3 and Saturday, December 4, local San Francisco musicians will share their musical talents in celebration of El Tecolote Newspaper with a Latin music concert featuring music that spans the Americas, from the Caribbean to the local corner dive, plus, a special tribute to veteran local DJ’s Avotcja, Emiliano Echeverria, Chata Gutierrez and Luis Medina for their contributions in creating an environment for Latin Music to thrive in the Bay Area. El Tecolote Newspaper is a community-based bilingual newspaper that was established in 1970 to provide a fuller portrait of Latino life and cultural and to provide free journalism training for local residents. Over the past 40 years, El Tecolote has become a beloved community institution and a proven pipeline to journalism careers. Join us on Friday for an incredible night of music from the Mission performed by La Familia Peña-Govea and the youth-driven salsa rhythms of Futuro Picante. When local recording artist, bandleader, composer and musician Miguel Govea began performing music with three women in his life he created the Mission’s own musical household with a hybrid lyrical twist as La Familia Peña-Govea. 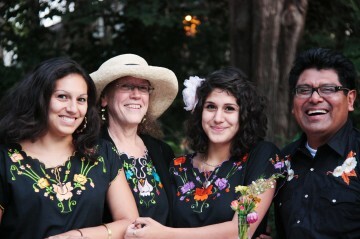 A well-known musician, Miguel Govea will be accompanied by his wife, Susan, and two daughters, Rene and Cecilia, as La Familia Peña-Govea. This talented musical family will get the audience swaying with their mixture of traditional Tex-Mex and Colombian music, driving us down a road filled with rancheras, valses, polkas, boleros, and vallenatos. La Familia Peña-Govea seamlessly coordinates the range of traditional instruments and progressions into a cohesive groove. The harmonious duets with Miguel and his wife ring with both a sublime simplicity that encourages the audience to sing along. La Familia Peña-Govea is continuing the rich legacy of Latino music in the Bay Area, and they are doing it together in style. 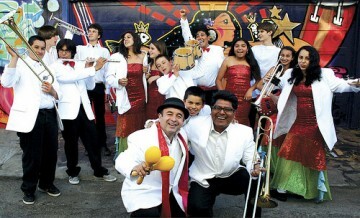 Closing Friday night is Futuro Picante, the Mission Cultural Center for Latino Arts’ youth Latin jazz band. With ages ranging from nine to 18-years-old, Futuro Picante’s sound is anything but elementary. 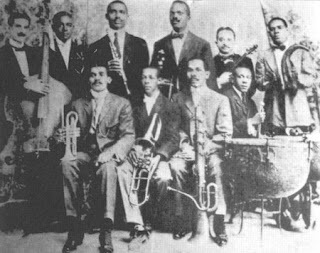 Their repertoire of vivacious Latin jazz includes both salsa’s golden age classics and original compositions from local artists. The group was formed in 2003 by Jose Leon, the Center’s youth director, as part of a summer Latin Jazz Band The group was formed in 2003 by Jose Leon, the Center’s youth director, as part of a summer Latin Jazz Band program. 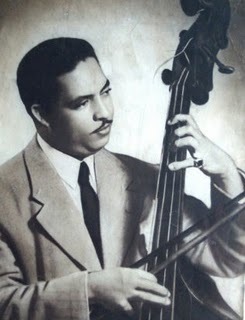 His aim was to provide low-cost music training for neighborhood youth and to pass on Latin music traditions to the next generation. With the help of co-director Miguel Govea, Leon assembled his first group of promising youth musicians. The group has been wowing audiences ever since. The complex texture of their music, layering fluttering flute solos with Cuban percussion, energetic trumpet melodies, jazzy keyboard stylings, and an array of powerful vocalists, earned them the title of San Francisco’s “2010 Best Kid Band” by SF Weekly. With their fresh sound and a maturity of musicianship beyond their years, Futuro Picante has indeed proven to be the zesty future of Latin music while honoring the legacies of Tito Puente, Beny Moré, and more. On Saturday, you will experience the thunderous Brazilian heartbeat of Loco Bloco, a non-profit group that has helped thousands of local youth find their life bearings through Afro-Brazilian drumming and dancing. 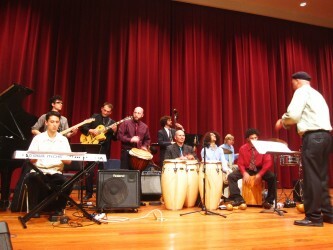 Saturday ends with the Afro-Cuban Jazz Ensemble of SFSU led by local music favorite John Calloway. Loco Bloco uses art as a tool to empower local youth and direct them towards healthy lifestyles and civic engagement. Since Loco Bloco’s inception in 1994 more than 6,000 have passed through their programs becoming professional and passionate performers, with many youth returning to mentor younger members. Loco Bloco’s drumming and dancing troupe pack a gigantic wallop that will shake your soul and unhook your hips. Their heavily percussion-based music is a potent fusion of African, Brazilian, Hip Hop, Latin, and Funk matched with high-energy dance routines ranging from samba to African and hip hop. influenced American music since the 19th century. The ensemble also performs music from South and Central America, Mexico, the Caribbean and the U.S.
John Calloway, director of the ensemble, is a Grammy nominated multi-instrumentalist, composer, educator and social activist. He has been a mainstay in the Bay Area music scene since the mid-1970s, having performed with J Omar Sosa, Israel “Cachao” Lopez, Dizzy Gillespie, Jesus Diaz, John Santos and Pete Escovedo. John is on faculty in both the School of Music and Dance and the Ethnic Studies Department of SFSU and gives lectures and workshops on music, the arts and social change throughout the region. Currently he serves on the SF Arts Commission and on several arts advisory boards in the Bay Area. Advance tickets available at Accion Latina office – 2958 24th Street, San Francisco, Monday-Friday 11:00 – 4:00 pm (415) 648-1045. Tickets will also be on sale on the nights of the performances. Tonight 9pm PST (12 mid EST): Emiliano Echeverria spins his collection of vintage, classic and rare Cuban music recordings, from Danzon to Son, Mambo to Doo-wop, Timba, y Hip Hop & Regeton Cubano. The Community Music Calendar at 9:30 pm, with ticket giveaways for el 29th Annual Encuentro Canto Popular, and more. Heard on KPFA FM in the SF Bay Area and on the Web at www.kpfa.org. 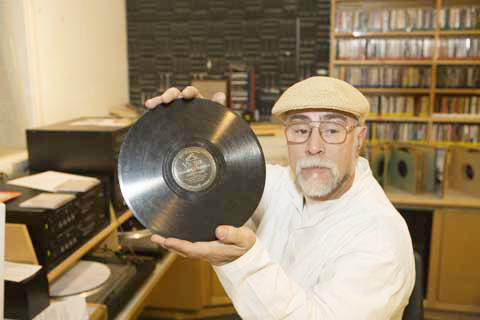 Radio Cuba Canta broadcasts monthly on KPFA-FM during Con Sabor, a weekly program featuring the best in Salsa, Latin Jazz and Afro-Caribbean music hosted by executive producer Luis Medina. Tonight’s edition of Radio Cuba Canta will start with a tribute to sonero Abelardo Barroso. Following the Community Music Calendar at 9:30pm, Luis Medina will interview Oscar Hernandez of the Spanish Harlem Orchestra, with ticket giveaways to their upcoming show on November 2nd at Yoshi’s Jazz Club in Oakland. 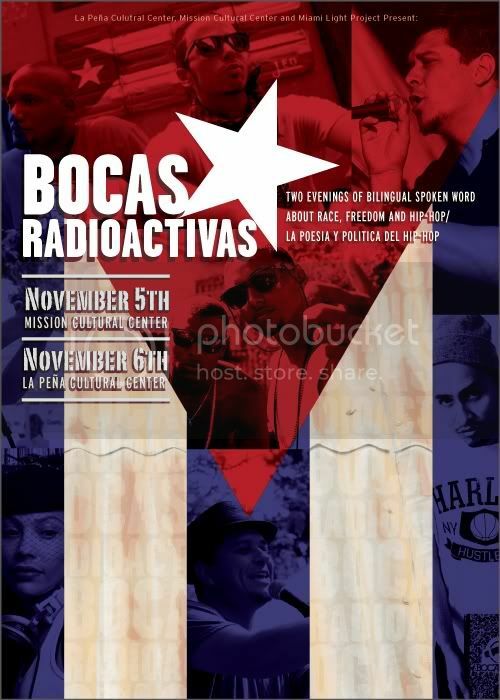 We will then spin a great popourri of Cuban music followed by an interview with Paul Flores and DJ Leydis about the “Bocas RadioActivas” spoken word event on November 5th & 6th in the Bay Area, featuring Bocafloja, Los Rakas, Brandon Santiago, and Doble Filo coming direct from Cuba; and wrapping up the broadcast with great Cuban Hip Hop. ALL AGES! / TODAS EDADES! A Spanish-English spoken word event to bring awareness to Black Latino heritage, immigrant rights and Spanglish culture through the global lens of the Hip-Hop generation. Also presenting DOBLE FILO from La Habana, Cuba for the first time in San Francisco demonstrating the challenges and success of Hip-Hop in communist Cuba. Un evento de palabras bilingues para poner luz sobre la herencia Afro-Latina, el movimiento para los derechos de los inmigrantes, y la cultura Spanglish por una perspectiva del Hip-Hop mundial. Tambíén presentando por primera vez en San Francisco el grupo cubano Doble Filo mostrando el desarollo del Hip-Hop dentro de un pais comunista. Paul Flores is a poet, playwright, novelist and nationally prominent spoken word artist from San Francisco who specializes in bilingual and hip-hop performance. His novel Along the Border Lies won the 2003 PEN Oakland/Josephine Miles Literary Award.. Flores most recent plays Fear of a Brown Planet (2005) and REPRESENTA! (2007) were both National Performance Network Creation Fund Commissions. Flores was featured on Russell Simmons Present: Def Poetry on HBO and was recently awarded a Center for Cultural Innovation grant to tour Latin America. He is the co-founder of Youth Speaks and currently teaches Hip-Hop Theater and Spoken Word at the University of San Francisco. Bocafloja is a MC, poet, spoken word artist, and outspoken social communicator from Mexico City, Mexico. Bocafloja began his musical career in the mid-90’s with the groups Lifestyle (1996-1998) and Microphonk (1999). As a solo artist since 2000, he released his demo EP album Lengua Insurrecta in 2002. Bocafloja burst on the Mexican hip hop scene with the release of the his debut album, Pienso Luego Existo, in 2003. Followed by the successes of Jazzyturno in 2004, A Titulo Personal in 2005, El Manual de la Otredad in 2007, and Existo: Matriz Preludio al Pienso in 2009, Bocafloja has transformed into one of the most revered icons in the hip hop scene in Mexico. Lyrically Bocafloja critically addresses topics such as institutionalized racism, social and political oppression, mental slavery, colonialism, and other human conditions. Bocafloja is recognized in Mexico as the pioneer of the utilization of hip hop culture as an alternative tool to create awareness, developing a different form for political participation that reaches and is more relevant to marginalized youth. Bocafloja currently lives and works between New York, California and Mexico City. Los Rakas includes Ricardo Guillam Bethancourt and Abdull Dominguez. Better known as Rico and Dun Dun, they were just toddlers back in 1989. But their memories of that time are vivid. 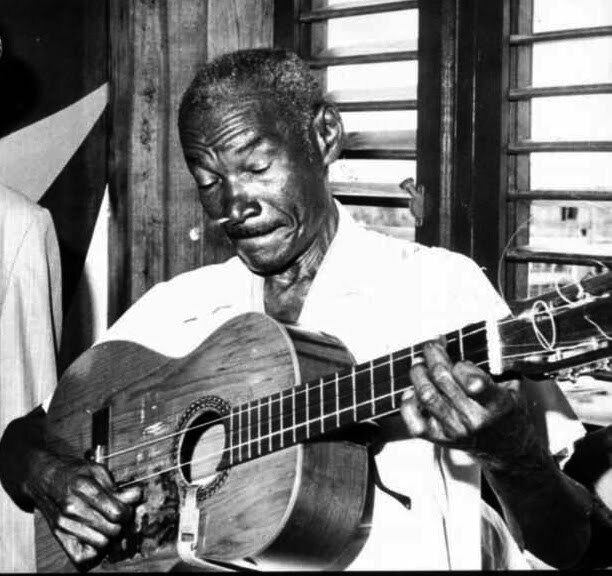 In their song “Invasion of Panama ’89,” they use archival news clips and somber lyrics to recount the violence that engulfed their Panama City neighborhoods. Like hundreds of Panamanians, Rico’s grandfather died in the violence. Rico says he wrote the song so more people, especially Americans, would be aware of the pattern of U-S military intervention in other countries. RICO: “The thing that was going on with Iraq, that kind of reminded me of it. So I’m like, here we go again you know.” But don’t get the wrong idea. Rico and his cousin Dun Dun, now in their early 20s, have lived half their lives in the U.S. And they say they’re grateful for all it has given them. Their debt to this country is apparent in their music. English and Spanish take turns over beats that merge Bay Area hip hop with the Caribbean rhythms of Panama. They have just released their second CD Panabay Twist 2: La Tanda del Bus. 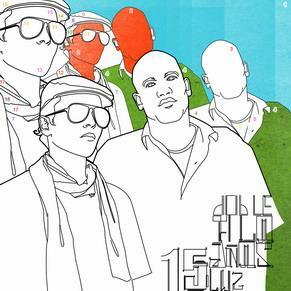 Doble Filo is a Cuban hip-hop band formed in La Habana in 1995 and composed of Yrak Saenz Orta, and Edgaro Gonzales. Doble Filo is one of the most well known exponents of Cuban Hip-Hop and along with Orishas, have introduced the world to the innovative style of hip-hop mixed with Cuban traditional music Through its music and lyrics, Doble Filo particularly focuses on personal and racial themes aiming to improve social conditions by encouraging listeners to find themselves. This duo also aims to communicate important and controversial social issues. The members veer away from lyrics that advocate violence or belittle women. Their main philosophy is avoiding negativity. DJ Leydis is a pioneer of the Cuban hip hop scene. As one of the first female hip hop DJs, she injected a feminist worldview into the male dominated culture. She co-founded the all-female collective Omega Kilay of Cuban emcees, deejays, dancers, activists and more. Four years ago she came to the Bay Area where she continues to perform as a DJ, poet and community activist. Tonite! : Radio Cuba Canta has a mid month special edition, featuring the great conjuntos from Arsenio Rodriguez to La Sonora Matancera, Nelo Sosa, Humberto Cane & more. Will also include he Community Music Calendar from Ron Flores at 9:30pm, and our usual prsesntation of contemporary cuban music including Timba, Cuban Reggaeton and Cuban Hip Hop. Radio Cuba Canta‘s Emiliano Echeverria joins Luis Medina of Con Sabor to co-present a KPFA membership drive special, featuring an interview with Rafael Lay Jr. of Cuba’s Orquesta Aragon, conducted during their recent visit to the San Francisco Bay Area, reflecting on 70 years of musical history. the first-ever Listener-Sponsored community station in the United States. Broadcast veteran and Cuban music historian Emiliano Echeverria offers a retrospective tribute to the life and music of Cachao, with rare and classic tracks featuring his Danzones and Mambos to Descargas and experimental recordings, with groups from Arcano y su Maravillas, Chico O’Farrill, the Tito Rodriguez Orchestra, Walfredo de los Reyes with Louie Bellson, and Patato & Totico with Arsenio Rodriguez; as well as with Issac Delgado, his collaborations with his brother Orestes, and his own recordings. Cachao maintained a beautiful relationship with the San Francisco Bay community, where in 1989 he was a featured guest at the San Francisco Jazz Festival for the concert event, La Evolucion de la Musica Afro-Cubana featuring colleagues and collaborators including Alfredo “Chocolate” Armenteros, Orestes Vilató, Armando Peraza, Walfredo de los Reyes, and Carlos Santana, presented by John Santos and the Machete Ensemble and Coro Folklorico Kindembo. Renown Cuban-American actor Andy Garcia, in town while working on the film Godfather III was in attendance that evening, met Cachao, and the rest is history: the two would work together on a number of projects over the years, including the film “Como Un Ritmo No Hay Dos“, and 2004’s ¡Ahora Sí! which won a Grammy Award for “Best Traditional Tropical Album“. In Spring of 2005 Cachao would return to San Francisco for concerts at the Yerba Buena Garden Center and Bimbo’s 365 Club, which was filmed by San Francisco State University’s new DOC FILM INSTITUTE. 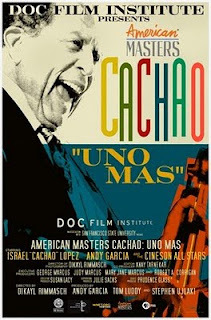 In Spring 2008 Cachao was scheduled to return for the premiere of “Cachao: Uno Mas” at the San Francisco International Film Festival , but it was not to be: after a brief illness, he passed away on the morning of March 22, 2008 in Miami, Florida. Radio Cuba Canta broadcast a tribute that evening. Our own C-Tone wrote his impressions at his website. Just before Cachao‘s passing, San Francisco pianist Rebeca Mauleon who has performed and recorded with el Maestro wrote an excellent article for Bass Player Magazine further examining Cachao’s music and technique, for future all musicians and students to discover.